The hope now is that citizens can regain powers lost under the junta through the political parties representing them. 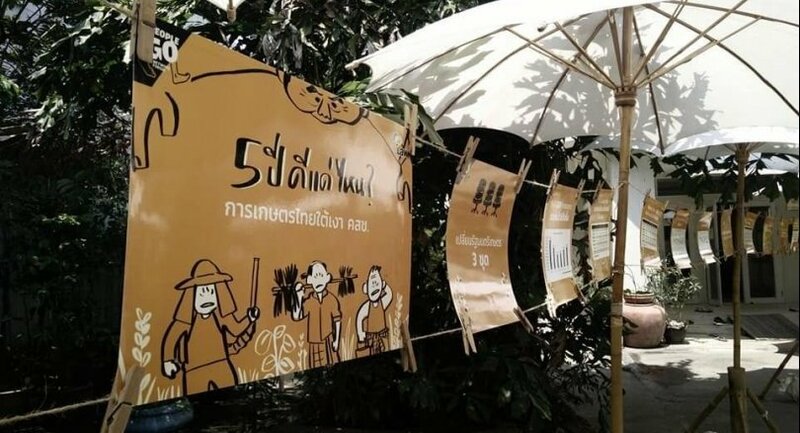 Several parties have vowed, if elected, to scrap all NCPO orders and pro-military constitutional amendments, as well as any legislation limiting community rights and environmental protections, Chadaporn noted. I don't know what was before thaksin. But his governments until 2014 were not people power. They were taksin power and mob power. His governments until 2014 were not people power. They were taksin power and mob power. I prefer people mob power to army mob power. TS and YS used people to further their own goals. Well, then you have never seen what people mobs can do, simply because there is no discipline whatsoever. Army "mob" power is restricted by chain of command and discipline. What people mobs can do was shown in 2010 by the redshirts, instignated by their so-called leaders, resulting in death and destruction. The following coup was a breeze, like the coup of 2014. Clearly, anyone paying attention will see the significant erosion of the freedoms enjoyed by Thais prior to the junta's takeover. Social media, public gatherings, and many other examples can be listed. Monitoring of all email and activities on-line remind many of Big Brother. Often this has been to curb criticism of the junta or Uncle. So now it will be time to see the opinion of the Thai public on this approach. Will they be sheep or will they stand up and say enough is enough? Or will the votes be manipulated? If the junta wins a legitimate victory perhaps they will adjust their leadership style reflecting less paranoia regarding their leadership? It will be an interesting spring. Thailand has yet to experience a truly democratic government which is transparent and works solely for the peoples benefit, the industry and the future prosperity of all in Thailand. Time to kick out the old dinosaurs of politics, time to kick-out the ruling junta and time to vote in some younger progressive politicians who are not interested in self enrichment, but look to a brighter Thailand within ASEAN and globally !